Another reason why we aren’t quite ready to relinquish power to the machines. We humans like to think pretty highly of ourselves, but every once in a while we get a wake up call to remind us to stay humble. Self-driving cars and artificial intelligence are supposed to be the last barrier for humanity to break before we can really pat ourselves on the back for being brainiacs, but so far as this video shows us, we still have a ways to go. This upload comes to us from YouTuber Scott S, an owner of two Teslas equipped with Autopilot 2.0. 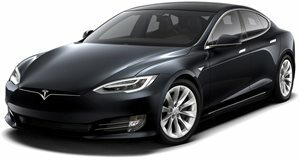 Around the time the hardware was being unveiled, Tesla’s update was touted as being one of the most sophisticated systems on the market with an army of ultrasonic, radar, and cameras keeping watch to ensure the Tesla was equipped to handle driving around in the city. To Tesla’s credit, CEO Elon Musk warned the public via Twitter that the system was not as refined as it should be for reliable performance, reminding us that a driver had to remain attentive and be ready to take over vehicle operation at any timer. Scott S. learned that as his Model S was traversing a dark road when suddenly, it began to veer to the left and towards a curb. Commenters speculated that it could have been an issue with the camera’s calibration given that Musk previously mentioned some cars would need adjustment of the camera’s pitch angle, but Scott S. claimed that it was more likely a software issue. Whatever the problem, this video helps us rest easy knowing more time is needed to refine these systems before the robots can take over.